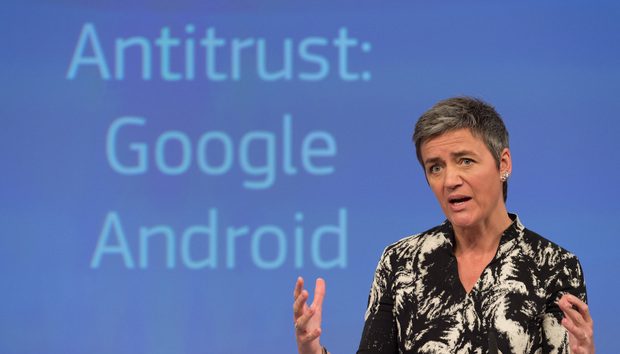 On Wednesday, Vestager said that rival search engines, mobile operating systems and Web browsers have not been able to compete on their merits but were "artificially" excluded. "This is not good. It is one of my priorities for consumers to enjoy a wide range of mobile and innovative platforms, products and services," she said. By European Commission rules, a statement of objections is a formal step in its antitrust investigations in which the commission informs the parties concerned in writing of the objections raised against them. The commission said it takes a final decision "only after the parties have exercised their rights of defence." "Android has helped foster a remarkable - and, importantly, sustainable - ecosystem, based on open-source software and open innovation," said Kent Walker, Google's general counsel, in a statement. He added that Google looked forward to working with the commission to demonstrate that Android benefited both consumers and competition. « Are agile, DevOps and similar certifications worth it?